We use the best technology and solutions in the industry to ensure we provide the best service. Introducing Cheetah Node, a hosting solution provider specialized in VPS hosting and affordable dedicated server hosting. Cheetah Node is a part of Netbyte Technologies (a company legally registered in Netherlands) and started providing hosting solutions since year 2012; But, the support team behind Cheetah Node is having more than five years experience in server management and networking. We mainly focus on customer satisfaction and always try to provide reliable and cost effective solutions to make our clients happy. We provide quality support to all of our clients. We can be reached over emails, support tickets and live chat available on our website. We accept payments through multiple payment gateways and currently we support Paypal, Payza, Webmoney and Credit Card payments (through Paypal). 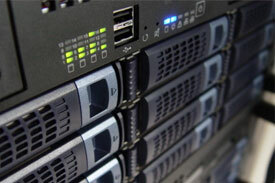 We use quality hardware and network on our VPS nodes and on our Dedicated servers. We have secured SPLA agreement with Microsoft and therefore our clients can enjoy genuine Windows software at cheap rates. Premium Support through support tickets, email and live chat. We use reliable and latest hardware to empower our servers.